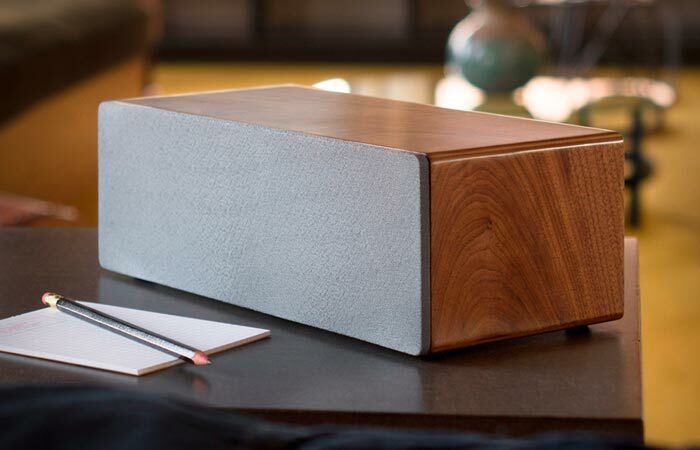 If you want to shop some quality audio gear, go for Audioengine: well-known for their solidly built speakers, the famous producer of innovative audio products has recently unveiled their new wireless speaker called B2, and judging by the first reports, this trendy soundbox is capable of delivering some stunning sound along with stylish looks. 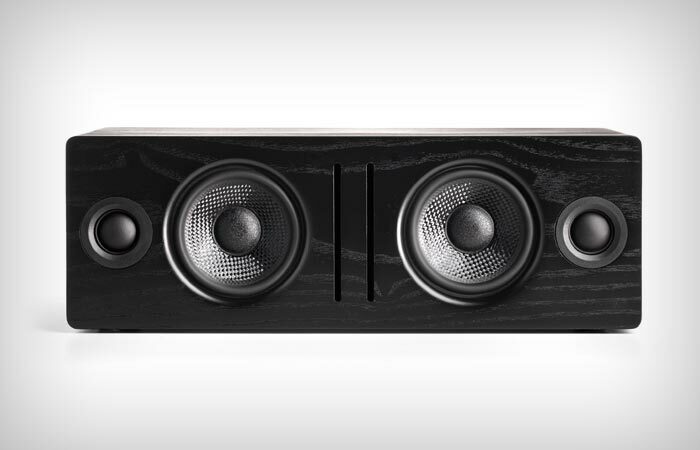 Packed inside a neat handcrafted wooden cabinet with magnet-attached speaker grilles, Audioengine B2 is a versatile Bluetooth version of the company’s previous speaker success A2+. Reminiscent of its predecessor, the small wireless speaker comes with a set of .75-inch ferro fluid cooled silk dome tweeters with neodymium magnets, a pair of 2.75-inch Kevlar woofers with advanced voice coils and a 60W dual class AB monolithic amplifier capable of delivering a decent 65Hz-22kHz of frequency response. However, the audio fun with this smart guy doesn’t stop there: unlike the A2+ set, B2 packs an upgraded 24-bit PCM5102A DAC manufactured by Texas Instruments (the previous sound system had a 16-bit DAC), Bluetooth 4.0 with AptX codec support and an auxiliary analog 3.5mm stereo mini-jack for non-Bluetooth devices, all topped by a tiny flip-up antenna for extended streaming range of up to up to 100 feet. Thanks to the 18 millimeters thick high-resin MDF walls with real wood veneer and extensive internal bracing used in the speaker cabinet, B2 provides maximum acoustic isolation and minimal distortion and resonance for superior audio with deep, tight bass, rich mids and clear highs. To wirelessly stream your favorite audio from any Bluetooth®-enabled source, including smartphones, tablets and iPads, or analogue devices like computers, follow a simple connecting procedure and pair your B2 speaker with the source device a matter of seconds without struggling with complicated network setups and passwords. Measuring 4.25 x 12.25 x 5.50 inches (H x W x D), Audioengine B2 Bluetooth Speaker is available in three different styles – black ash, zebrawood, and walnut – and it comes in the package with a power cable, 1.5 meter mini-jack cable, detachable antenna, microfiber bag and straightforward quickstart guide. So, what are you waiting for? Grab your B2 and play your music as lound and clear as it gets – your neighbors already love your taste in music so they probably won’t complain.